An exhibition highlighting cooperation between Japan and the United Nations Industrial Development Organization (UNIDO) for African industrial development has opened at the Vienna International Centre Monday. The exhibition showcases UNIDO and Japan cooperation on the Tokyo International Conference on African Development (TICAD) first held in October 1993, and on the implementation of the Third Industrial Development Decade for Africa (IDDA 3), UNIDO said in a press release. 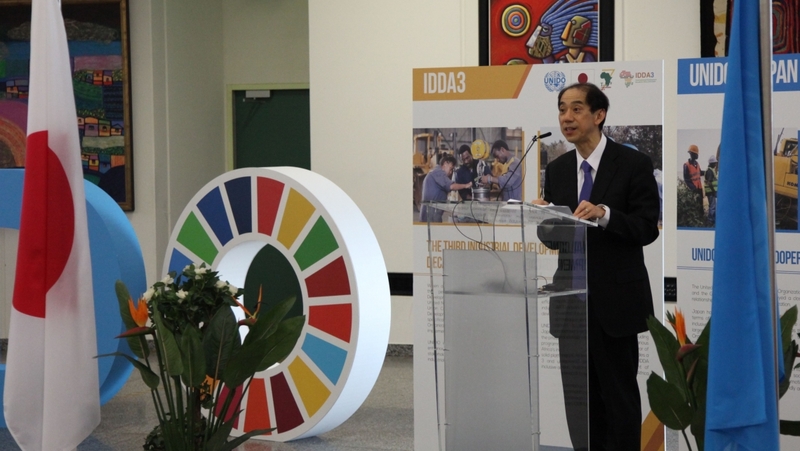 At the exhibition’s opening ceremony, UNIDO Deputy Director General, Hiroshi Kuniyoshi, underlined the solid and trusted partnership between Japan and UNIDO to reduce poverty, and enhance inclusiveness while safeguarding the environment. Permanent Representative of Japan to the International Organizations in Vienna, Mitsuru Kitano, on his part expressed hope that this exhibition will spark discussions on the strengthening of Africa’s ownership and international partnership. “Africa’s industrial development is our common goal, and common future,” he said. Over the last five years, Japan has provided US$13m to fund 18 projects in various African countries in the field of human security and the humanitarian-development nexus. In the area of renewable energy, two important projects are being funded with US$25m. Last year, to reinforce the UNIDO Secretariat’s capacity to focus on Africa and IDDA3, Japan made a new contribution of US$1.1m, the press release said. Posted by Emmanuel Agbenonwossi on March 26, 2019. Filed under Business, News, Zoom. You can follow any responses to this entry through the RSS 2.0. Both comments and pings are currently closed.